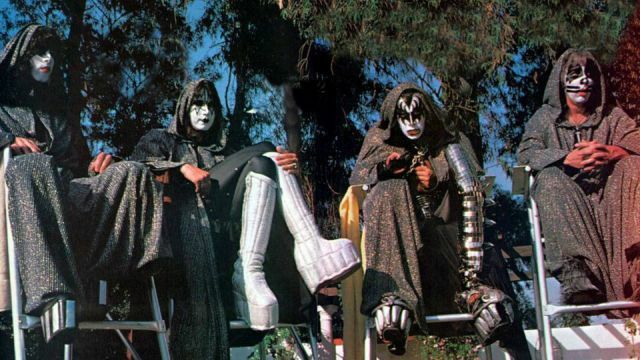 Movie Geek Feed - Movie, TV, Comic Book, and Entertainment News: Celebrating 40 Years of "KISS Meets the Phantom of the Park"
In 1978, there were two things on the minds of boys ages 5 to 16. OK, maybe three. They were KISS, "Star Wars," and girls. You pick the order they were in for you personally. I was 6, so girls really hadn't figured into the equation yet. Girls were on boys' minds for the obvious reasons. "Star Wars" was popular because it had just been released the year before and blew everyone away with its groundbreaking, never-before-seen special effects and imagery. After only being around since 1973, KISS was the hottest band in the world because of their shockingly explosive on-stage spectacle and look. They had already released several best-selling studio, live, and solo albums. They had t-shirts, stickers, belt buckles, and everything else you can think of with their logo and likenesses plastered on them. The band even had a comic book that featured the members as superheroes that was published through Marvel Comics. 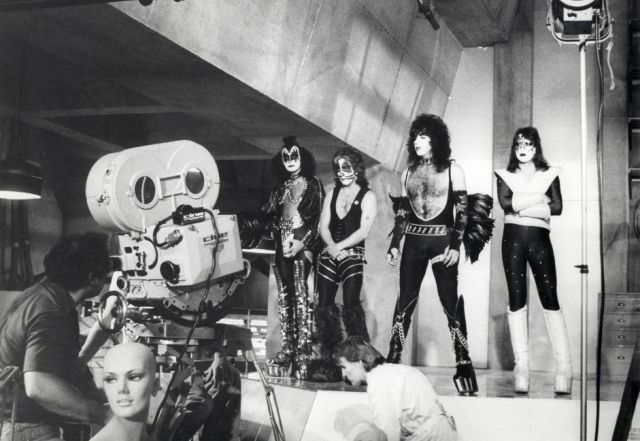 Their manager, Bill Aucoin, could only see one other area KISS could move into that hadn't been explored yet. The band needed to make a movie. And not just any movie: a movie that put the band into the status of superheroes they were raised to in their comic book. KISS needed to be seen as superheroes each with individual powers that reflected their different personae. Singer/guitarist Paul Stanley (the Starchild) could control and read minds. Singer/bassist Gene Simmons (the Demon) had super strength and could breathe fire. He also had a reverberating voice that commanded people listen to him and animal-like growls. 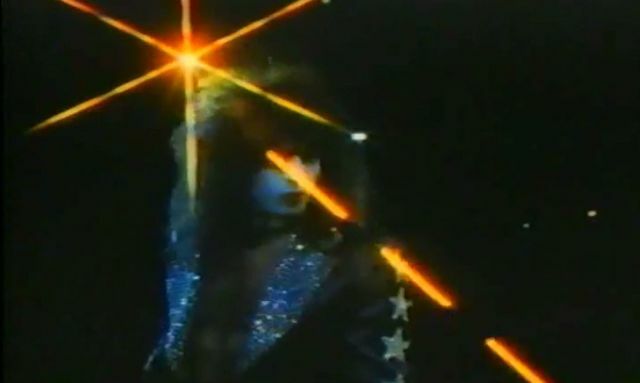 Singer/lead guitarist Ace Frehley (the Spaceman) could shoot lasers and teleport. Drummer/singer Peter Criss (the Catman) had superhuman agility and leaping powers. 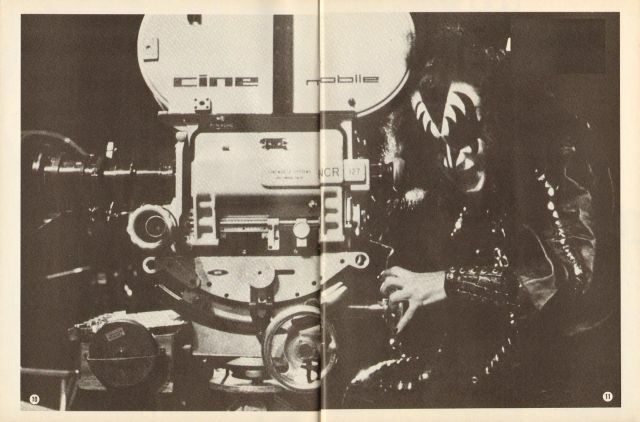 Horror director Gordon Hessler helmed "KISS Meets the Phantom of the Park." He had worked on several films with Vincent Price and on "The Alfred Hitchcock Hour." There was the monster movie element Gene Simmons would be happy about. The film was produced by Hanna-Barbera, which probably gave manager Aucoin a feeling of comfort that it would be kid-friendly and made to appeal to that demographic. Hanna-Barbera was known for hit shows like "Scooby-Doo," "The Jetsons," and "Johnny Quest." 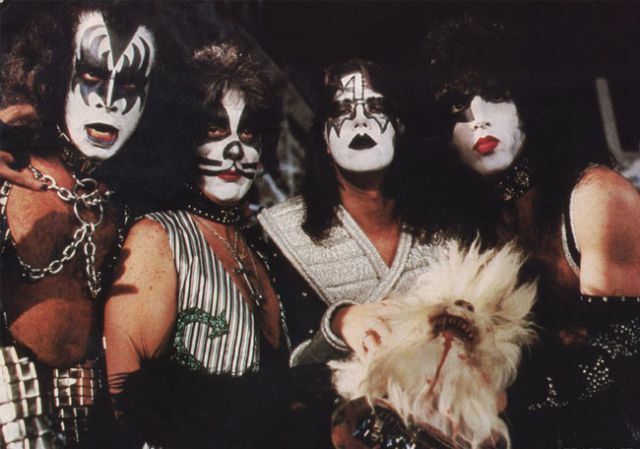 "KISS Meets the Phantom of the Park" debuted on October 28, 1978. What better time for a movie about a rock group disguised in makeup with super powers who battled a mysterious villain and his robots to come out than a few days before Halloween? It was featured as one of NBC's "Movies of the Week" and was a hit. Millions of kids were glued to their television sets that night. With Halloween right around the corner, the 40th anniversary of the release of "KISS Meets the Phantom of the Park" is here. I still remember watching it and being thrilled to see my rock superheroes KISS in action. I was the perfect age for what the movie was all about. 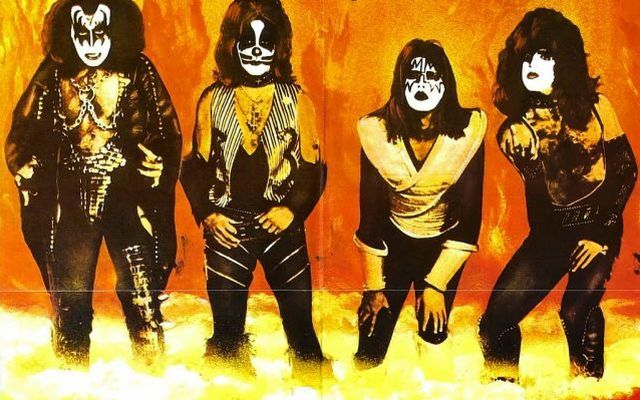 If it was a marketing ploy to get millions of younger kids hooked on the super-powered look of KISS so they could sell more records, it worked. Forty years later, I'm still a member of the KISS Army! You can rent or buy the European version of "KISS Meets the Phantom of the Park," titled "KISS in the Attack of the Phantoms," on DVD. It's part of the "KISSOLOGY Volume Two: 1978-1991" box set. Will it stand the test of time and be as cool as you remember it being in 1978? No way. Is it still a lot of fun anyway? You bet it is.